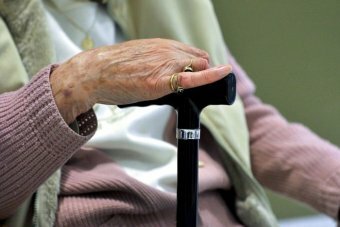 The aged parents of immigrants in Australia will have to get private health insurance and financial backing from their children before being able to access a new temporary visa being introduced by the Government. Assistant Immigration Minister Alex Hawke said the new temporary sponsored parent visa, which allows people to visit family in Australia for five years at a time, will be in place by July 2017. Mr Hawke told reporters in Sydney the Government wanted the new visa program to be more affordable than current arrangements without burdening the taxpayer. “If we are to have more aged parents who have come from overseas here with us visiting or staying, we have to ensure that our already overburdened health system is protected from extra cost,” he said. The announcement follows a report issued by the Productivity Commission, which recommended the introduction of a temporary visa for parents, which would allow them to stay for a longer period of time as long as the sponsoring child met the necessary health and income costs during their stay. The report stated the “cumulated lifetime fiscal costs” of a parent visa holder under the current system was estimated to be between $335,000 and $410,000 per adult in 2015-16. “On this basis, the net liability to the Australian community of providing assistance to these 8,700 parents over their lifetime ranges between $2.6 and $3.2 billion in present value terms,” it stated. A discussion paper issued by the Department of Immigration and Border Protection outlined the two categories of parent visas already available, one of which may take “approximately 30 years” to process. The other stream is generally finalised within two years. “The number of permanent visa places for parents made available in the Migration Programme is small and waiting times can be lengthy,” the paper states. “The Government’s intention is that any new temporary parent visa arrangement should help offset these issues, while allowing Australia to benefit socially through having united families and cohesive communities. Mr Hawke said the visa program would be available to parents of Australian citizens, permanent residents and “eligible New Zealand citizens”.